My last post to this forum called for the SA cricket selectors to be fired and Captain Crossbat to be dropped – among other things. Today’s game against Ireland has shown that I was right: the time to lose Smith is now long overdue because he adds no value to the team. Check out the scorecard here. This would solve so many problems for the selectors, primarily the bowling challenge. Up until now they have had to play an extra batsman to cover the gaping hole at the top – the one between Captain Crossbat’s bat and his pads. Morne van Wyk proved today that he can open without putting unnecessary pressure on his opening partner (Amla) or our star batsman, Jacques Kallis. AB is a shoo-in once he’s fit again and Ingram showed his metal today; I’d bring him in at five. Duminy was sublime. Du Plessis seems to be struggling at this level but I’d retain him because when he announces himself it will be big. However, if they wanted to play the extra bowler, he should be the one to drop. That’s the top seven sorted, leaving four spots for bowlers. Botha is my captain and he’s in at eight. That leaves three spots for bowlers. Tahir has to be there: he has played only three games and taken 11 wickets for 98 runs (each costing less than 9 runs and coming in fewer than 14 balls). That leaves two spots for the quicks, Steyn and Morkel. So, if we wanted to play the extra bowler (in the place of du Plessis), who would it be? 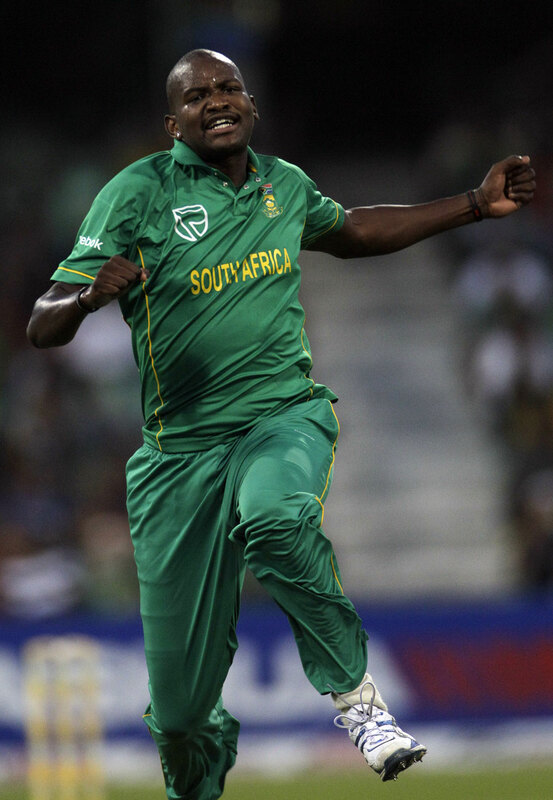 I’d like to see Tsotsobe in action; A tall left-arm quick, he was brilliant against Pakistan in the Emirates on pitches giving very little assistance. He was also superb in the pre-tournament series against India in SA where he was the most successful bowler on show (13 wickets at costing 13 runs each at a strike rate under 20). I think he deserves a chance to strut his stuff. If the selectors had any brains they’d give him a run against Bangladesh. And then there is Petersen. I call him a part-time bowler and part-time batsman or, in less charitable moments, 46664, to represent what he goes for in a typical over here at home. However, even I can’t deny that he has been effective in India. But then, as my learned friend Andy informs me, so have all the left-arm slow bowlers at this World Cup. So that’s the selector’s conundrum: du Plessis, Petersen or Tsotsobe. The latter is the one we haven’t seen in action yet. Ke nako; It is time.